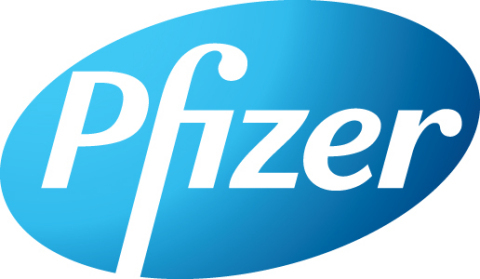 NEW YORK--(BUSINESS WIRE)--Pfizer Inc. (NYSE:PFE) announced today that the U.S. Food and Drug Administration (FDA) has approved XELJANZ® XR (tofacitinib citrate) extended-release 11 mg tablets for the once-daily treatment of moderate to severe rheumatoid arthritis (RA) in patients who have had an inadequate response or intolerance to methotrexate (MTX). XELJANZ XR is the first and only once-daily oral RA treatment in its class, known as Janus kinase (JAK) inhibitors. “Pfizer continues to be an innovator in inflammation and immunology. The introduction of the first and only once-daily oral JAK inhibitor for RA, XELJANZ XR, builds upon Pfizer’s tradition of developing patient-centered therapies,” said Michael Corbo, Category Development Lead, Inflammation & Immunology, Pfizer Global Innovative Pharmaceuticals Business. “The availability of XELJANZ XR provides physicians with a new treatment option for people with RA who may prefer an oral once-daily treatment,” said Dr. Roy Fleischmann, clinical professor in the Department of Internal Medicine at the University of Texas Southwestern Medical Center and Co-Medical Director, Metroplex Clinical Research Center. XELJANZ®/XELJANZ XR® (tofacitinib citrate) is a prescription medicine called a Janus kinase (JAK) inhibitor. XELJANZ XR 11 mg is the first and only once-daily oral JAK inhibitor for the treatment of moderate to severe rheumatoid arthritis (RA). As the developer of XELJANZ/XELJANZ XR, Pfizer is a leader in JAK innovation. XELJANZ/XELJANZ XR do not require injections or infusions. XELJANZ/XELJANZ XR can be taken with or without methotrexate. XELJANZ is approved in more than 45 countries around the world for the treatment of moderate to severe RA as a second-line therapy after failure of one or more disease-modifying antirheumatic drugs (DMARDs). Pfizer is committed to advancing the science of JAK inhibition and enhancing understanding of XELJANZ through a robust clinical development program. The efficacy and safety profile of XELJANZ has been studied in approximately 6,200 patients with moderate to severe RA, amounting to more than 19,400 patient-years of drug exposure in the global clinical development program. XELJANZ/XELJANZ XR is a prescription medicine called a Janus kinase (JAK) inhibitor. XELJANZ/XELJANZ XR is used to treat adults with moderately to severely active rheumatoid arthritis in which methotrexate did not work well. XELJANZ/XELJANZ XR may be used as a single agent or in combination with methotrexate (MTX) or other non-biologic disease-modifying antirheumatic drugs (DMARDs). Use of XELJANZ/XELJANZ XR in combination with biologic DMARDs or potent immunosuppressants, such as azathioprine and cyclosporine is not recommended. XELJANZ/XELJANZ XR can lower the ability of the immune system to fight infections. Some people can have serious infections while taking XELJANZ/XELJANZ XR, including tuberculosis (TB), and infections caused by bacteria, fungi, or viruses that can spread throughout the body. Some people have died from these infections. Healthcare providers should test patients for TB before starting XELJANZ/XELJANZ XR, and monitor them closely for signs and symptoms of TB and other infections during treatment. People should not start taking XELJANZ/XELJANZ XR if they have any kind of infection unless their healthcare provider tells them it is okay. People may be at a higher risk of developing shingles. XELJANZ/XELJANZ XR may increase the risk of certain cancers by changing the way the immune system works. Lymphoma and other cancers, including skin cancers, can happen in patients taking XELJANZ/XELJANZ XR. The risks and benefits of treatment should be considered prior to initiating XELJANZ/XELJANZ XR in patients with chronic or recurrent infection; who have been exposed to tuberculosis; with a history of a serious or an opportunistic infection; who have resided or traveled in areas of endemic tuberculosis or endemic mycoses; or with underlying conditions that may predispose them to infection. Viral reactivation, including cases of herpes virus reactivation (e.g., herpes zoster), was observed in clinical studies with XELJANZ. Use of live vaccines should be avoided concurrently with XELJANZ/XELJANZ XR. Update immunizations in agreement with current immunization guidelines prior to initiating XELJANZ/XELJANZ XR therapy. Some people taking XELJANZ/XELJANZ XR can get tears in their stomach or intestines. This happens most often in people who also take nonsteroidal anti-inflammatory drugs (NSAIDs), corticosteroids, or methotrexate. XELJANZ/XELJANZ XR should be used with caution in patients who may be at increased risk for gastrointestinal perforation (e.g., patients with a history of diverticulitis), or who have a narrowing within their digestive track. Patients should tell their healthcare provider right away if they have fever and stomach-area pain that does not go away or a change in bowel habits. XELJANZ/XELJANZ XR can cause changes in certain lab test results including low blood cell counts, increases in certain liver tests, and increases in cholesterol levels. Healthcare providers should do blood tests before starting patients on XELJANZ/XELJANZ XR and while they are taking XELJANZ/XELJANZ XR, to check for these side effects. Normal cholesterol levels are important to good heart health. Healthcare providers may stop XELJANZ/XELJANZ XR treatment because of changes in blood cell counts or liver test results. Patients should tell their healthcare providers if they plan to become pregnant or are pregnant. It is not known if XELJANZ/XELJANZ XR will harm an unborn baby. To monitor the outcomes of pregnant women exposed to XELJANZ/XELJANZ XR, a registry has been established. Physicians are encouraged to register patients and pregnant women are encouraged to register themselves by calling 1-877-311-8972. Patients should tell their healthcare providers if they plan to breastfeed or are breastfeeding. Patients and their healthcare provider should decide if they will take XELJANZ/XELJANZ XR or breastfeed. They should not do both. In carriers of the hepatitis B or C virus (viruses that affect the liver), the virus may become active while using XELJANZ/XELJANZ XR. Healthcare providers may do blood tests before and during treatment with XELJANZ/XELJANZ XR. Common side effects include upper respiratory tract infections (common cold, sinus infections), headache, diarrhea, and nasal congestion, sore throat, and runny nose (nasopharyngitis). Please click the direct link to the full prescribing information for XELJANZ/XELJANZ XR, including boxed warning and Medication Guide: http://labeling.pfizer.com/ShowLabeling.aspx?id=959. At Pfizer, we apply science and our global resources to bring therapies to people that extend and significantly improve their lives. We strive to set the standard for quality, safety and value in the discovery, development and manufacture of healthcare products. Our global portfolio includes medicines and vaccines as well as many of the world's best-known consumer healthcare products. Every day, Pfizer colleagues work across developed and emerging markets to advance wellness, prevention, treatments and cures that challenge the most feared diseases of our time. Consistent with our responsibility as one of the world's premier innovative biopharmaceutical companies, we collaborate with health care providers, governments and local communities to support and expand access to reliable, affordable health care around the world. For more than 150 years, Pfizer has worked to make a difference for all who rely on us. For more information, please visit us at www.pfizer.com. In addition, to learn more, follow us on Twitter at @Pfizer and @Pfizer_News, LinkedIn, YouTube and like us on Facebook at Facebook.com/Pfizer. DISCLOSURE NOTICE: The information contained in this release is as of February 24, 2016. Pfizer assumes no obligation to update forward-looking statements contained in this release as the result of new information or future events or developments. This release contains forward-looking information about XELJANZ and XELJANZ XR, including their potential benefits, that involves substantial risks and uncertainties that could cause actual results to differ materially from those expressed or implied by such statements. Risks and uncertainties include, among other things, the uncertainties inherent in research and development; uncertainties regarding the commercial success of XELJANZ and XELJANZ XR; whether and when any applications for XELJANZ or XELJANZ XR may be filed with regulatory authorities in any other jurisdictions; whether and when regulatory authorities in other jurisdictions in which such applications are pending or will be submitted may approve such applications, which will depend on the assessment by such regulatory authorities of the benefit-risk profile suggested by the totality of the efficacy and safety information submitted; decisions by regulatory authorities regarding labeling and other matters that could affect the availability or commercial potential of XELJANZ and XELJANZ XR; and competitive developments. A further description of risks and uncertainties can be found in Pfizer’s Annual Report on Form 10-K for the fiscal year ended December 31, 2014 and in its subsequent reports on Form 10-Q, including in the sections thereof captioned “Risk Factors” and “Forward-Looking Information and Factors That May Affect Future Results”, as well as in its subsequent reports on Form 8-K, all of which are filed with the U.S. Securities and Exchange Commission and available at www.sec.gov and www.pfizer.com. 2 Lee DM, Weinblatt ME. Rheumatoid arthritis. Lancet. 2001; 358:903-911. 3 Medline Plus, “Rheumatoid Arthritis” Accessed 11 October 2015. Available at http://www.nlm.nih.gov/medlineplus/ency/article/000431.htm. 4 Mayo Clinic, “Rheumatoid Arthritis.” Accessed 14 September 2015. Available at http://www.mayoclinic.com/health/rheumatoid-arthritis/DS00020/DSECTION=risk-factors. 5 Annals of Rheumatic Diseases, “The global burden of rheumatoid arthritis: estimates from the Global Burden of Disease 2010 study.” Accessed 14 July 2015. Available at http://ard.bmj.com/content/early/2014/02/18/annrheumdis-2013-204627. 6 Sacks, J., Lou, Y., Helmick, C. Prevalence of Specific Types of Arthritis and Other Rheumatic Conditions in the Ambulatory Health Care System in the United States 2001-2005. Arthritis Care and Research. 2010. 62(4): 460- 464. 7 Howden, L., Meyer, J., 2010 U.S. Census Bureau results --- U.S. Census Bureau, 2010 Census Summary File 1.